Monthly Measure is both a monthly universal calendar and a ruler. 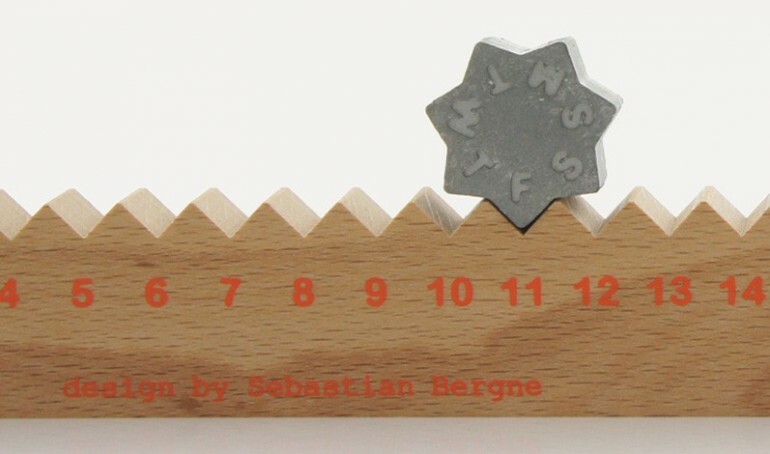 The star is positioned on the serrated side of the ruler to show the day and date in the month. 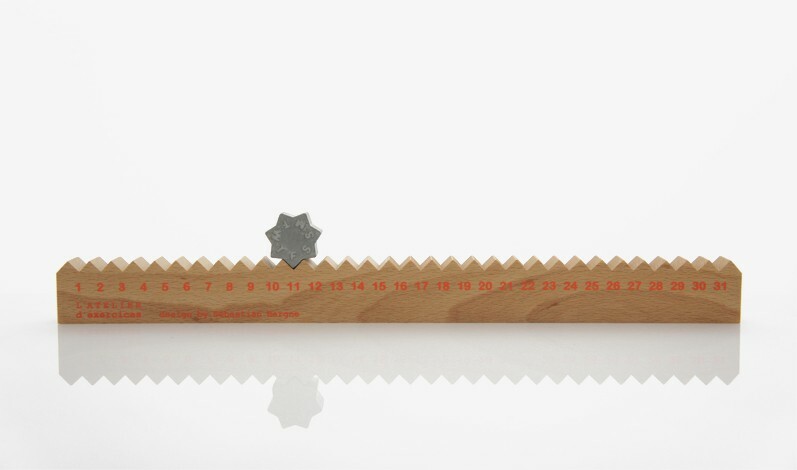 The date is easily changed by rolling the star along the ruler. 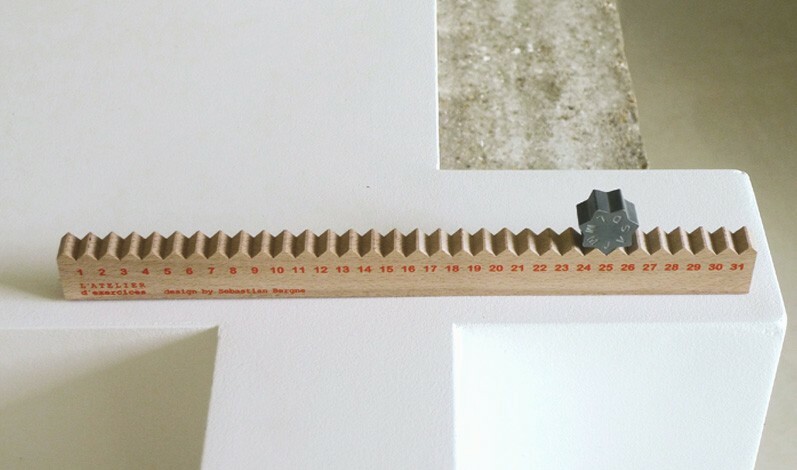 The dates are placed every centimetre so Monthly Measure can also be used as a 30cm metric ruler. The die cast star has English day initials on one side and French on the other. 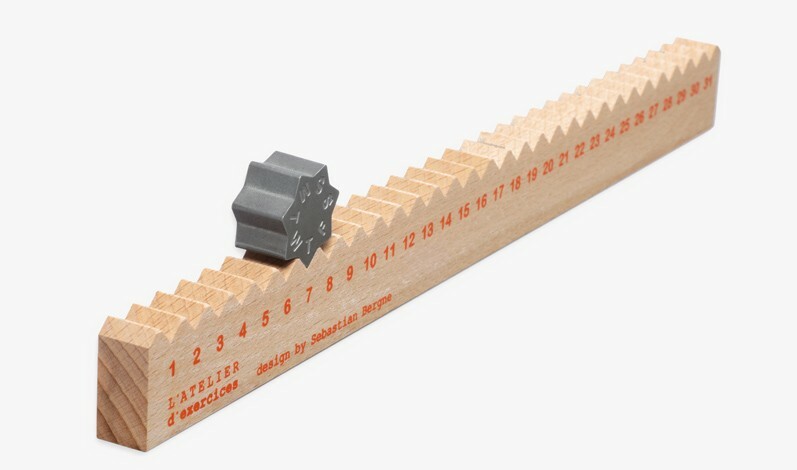 The ruler is made of beech wood.